Enjoy FREE roundtrip air on one of these three epic month-long journeys with Viking Ocean Cruises. Prices start at $6,999/person. Deluxe Veranda at Veranda Price plus Air for $499 per person. Hurry! Flash Sale Ends July 30, 2018. 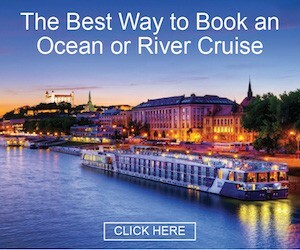 Give dad the gift of a fun Viking Ocean Cruise. Save up to $800 per person and get $800 in shipboard credits to boot! Come to see the four select sailings under this special sale. Come learn how Viking Ocean Cruises is disrupting the ocean cruise industry with plans to be the world’s largest small-ship luxury brand.